The Happy Hearts Feline Rescue shelter is in constant need of loving foster homes for temporary shelter. If you can provide a loving and supportive environment, we need you! ​If you would like to help, please contact our shelter manager Jeanne Spencer - 734-545-2906. Happy Hearts Feline Rescue is supported 100% by donations. ​Your donation is tax deductible. If you have a donation, Contact Us to arrange for pickup. Help Happy Hearts Feline Rescue get FREE litter! Cat's Pride is giving away FREE litter to shelters across America! and login or signup to nominate Happy Hearts Feline Rescue as your favorite shelter. Use zip code 48158 to locate us. putting this on your Facebook page or Twitter account. This initiative is very important to Happy Hearts. On average we use 120 pound of litter EACH DAY! Every nomination makes a difference. Happy Hearts Feline Rescue is proud to be a Partner for Pets! BISSELL and LostPetUSA.net have teamed up to help organizations like ours raise money and now you can help too! When you purchase pet products on Bissell, a portion of your purchase will be donated to our organization. We have a new goal of 10,000 points and we are already half way there! This means 11 bags of litter for HHFR! Help us earn free litter. Find codes printed inside specially marked Fresh Step packages. Find our shelter in the Paw Points CAT-a-log. 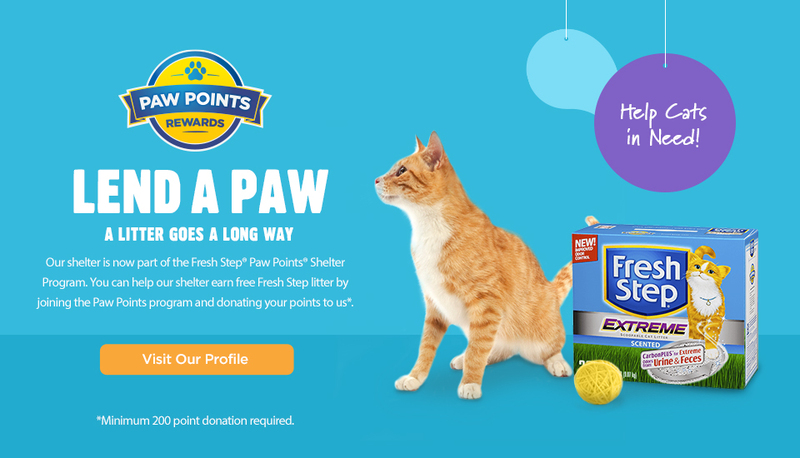 Create or log into your Paw Points account to enter codes for points. Donate as many points as you can to bring us closer to our goal! Donate Your Old Shoes To Happy Hearts Feline Rescue! We have teamed up with ShoeBox Recycling to collect gently used shoes for people worldwide in need of shoes and to help raise funds for us.! Click here for more information﻿. Now you can support Happy Hearts Feline Rescue every time you shop at a Kroger Store by signing up for their Community Rewards Program! 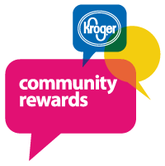 Click here to read how to use Kroger Community Rewards. Click here to support Happy Hearts Feline Rescue when you shop online at Amazon Smile.